Edited by Silpi Basak . 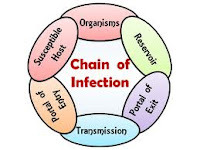 Health Care associated infection (HAI) is an emerging problem worldwide. HAI causes increased morbidity and mortality and average length of stay of the patient in the hospital. HAI also imposes economic burden on the patient, health care set up and also State and National Health care system. Infection control in health care set up is a team work. It is the responsibility of all the persons associated with patient care. I still remember how much I felt desperate, when I found that Pseudomonas aeruginosa and Candida albicans were isolated from Endotracheal aspirate of my mother who was admitted in OTICU and was having Ventilator Associated Pneumonia (VAP). It has been estimated that 5 – 10 % of all hospital admission suffers from HAI even in developed countries. But 30% of HAI are preventable, if we follow the infection control practices properly especially hand hygiene while giving patient care. Hence, in this book importance has been given to Infection Control practices along with emerging trends of HAI. Dr. Silpi Basak, M.B.B.S., M.D.